I’ve got to say, I’m Busy Being Awesome readers are truly awesome. 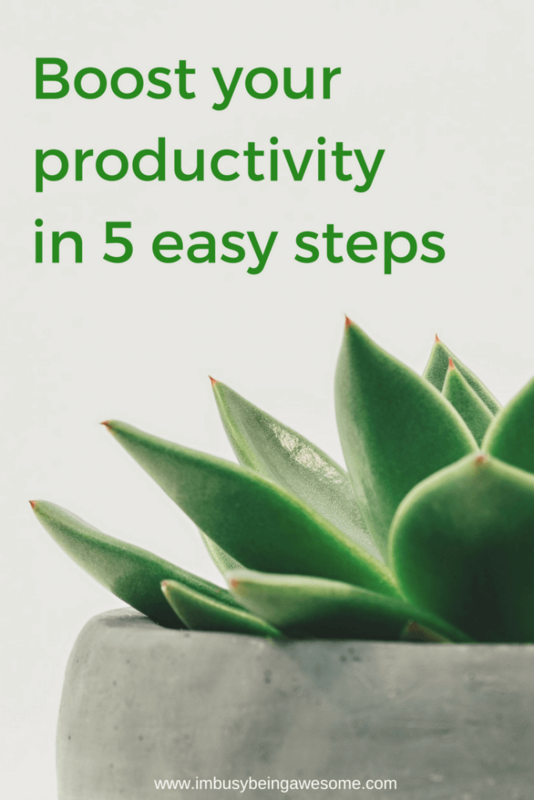 After my recent post, 3 ways to boost motivation working from home, I received a huge response from all of you wonderful readers. You shared your own approaches to creating an ideal work environment. And not surprisingly, your suggestions were fantastic! So great, in fact, that I wanted to build upon my earlier post and share some of your great ideas today. 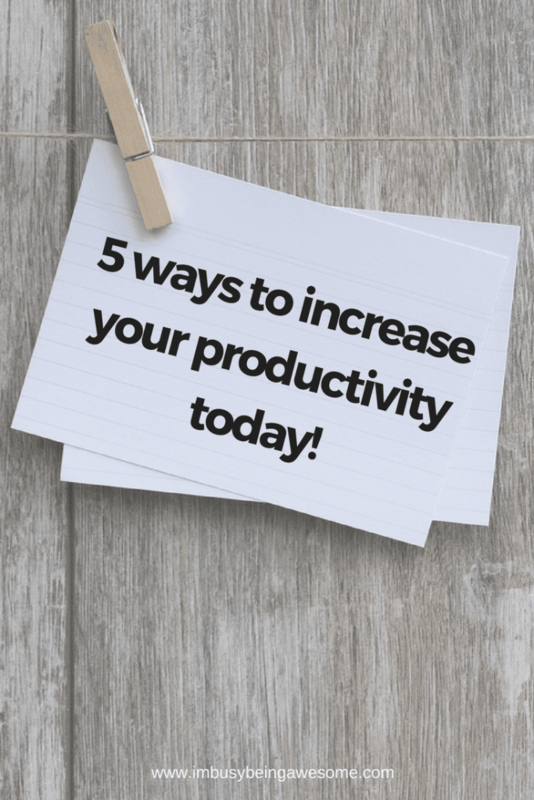 So without further ado, 5 MORE ways to boost motivation and increase productivity, as proposed by you wonderful readers. 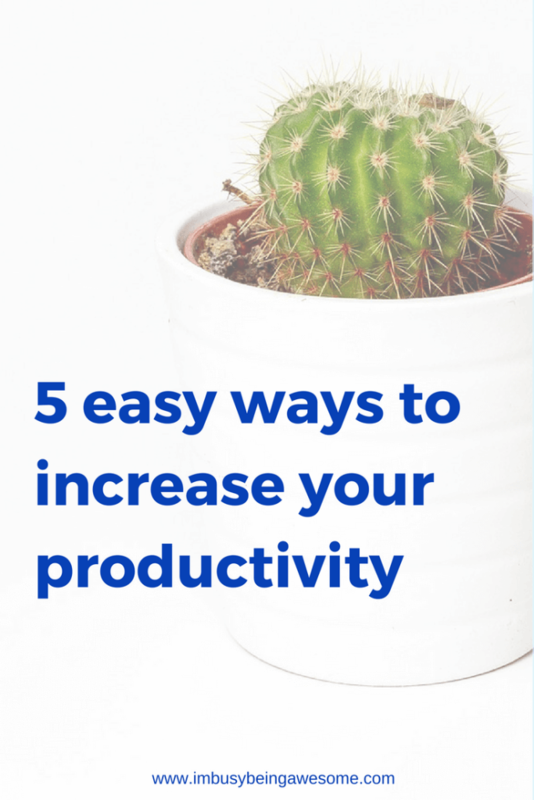 5 MORE ways to increase productivity at work. A few readers mentioned their need for background noise to increase productivity. And one person further explained how she varied that background based on her task at hand. For high-focus projects, for example, she turns to the white noise app or some of the ambient playlists on Spotify. But when she’s tackling more creative projects, she loves to listen to jazz music. And as I mentioned in yesterday’s post, my brother-in-law always heads to his local Starbucks to get work done. The constant bustle of activity provides its own background noise, and offers inspiration for creative work. So if you find your mind wandering, try turning on some background noise and reclaim your focus. And I don’t know about you, but when I’m uncomfortable, I have an incredibly difficult time focusing. My office at work, for example, is freezing. And I don’t have any control over the temperature. So rather than simply shivering the day away, I bought one of those heated throw blankets. I just wrap it around my shoulders and keep toasty warm all day long. On the complete opposite side of the spectrum, my home office is always on the warm side. In fact, I find myself using the big ceiling fan over my desk all year round. In the summer for obvious reasons, and in the winter because of our old house; all of the heat seems to flow up stairs and directly into my office, while the rest of the house stays at 68. Go figure. If you’ve ever considered getting a ceiling fan in your office, I highly recommend it. It’s a great way to affordably control the temperature. Plus, you can probably get some good deals if you install it in the winter months. (You can learn about the benefits of bigger ceiling fans here). So pay attention to whether you’re too hot or too cold. Comfort is important when it comes to productivity, so it’s important we tend to these details. Several readers suggested this third tip, which is the importance of banishing clutter from your workspace. It’s no secret that having piles of stuff all over your office can significantly impact your productivity and make you lose focus. By having a work environment that is neat and tidy, on the other hand, you’re creating a space in which you want to work. So take an afternoon and have a major office-purge. Recycle those piles of unnecessary papers and unread junk mail. Throw out the pens and sharpies that no longer work. And take down those post-it reminders from two months ago. In other words, get rid of the excess stuff. Once you’ve done that, the fun starts:) Find a few office storage containers to help you organize your important files and documents. Put everything away in its place, and establish order in your office. As Gretchen Rubin always says, “outer order contributes to inner calm.” And a calm mind is a productive mind. Another reader shared with me some rather alarming information about office cleanliness. To cut straight to the point, she explained that computer mice and keyboards hold more bacteria than a toilet. This information (not surprisingly) pushed her to begin a quick daily cleaning routine in her office. From her point of view – and I couldn’t agree more – taking a few minutes each day to wipe down surfaces with disinfectant was well worth her time. After all, getting sick is one of the biggest productivity stumbling blocks of them all. The last suggestion is one that I can’t wait to try. It came from a reader who loves having plants in her office. She said they gave her energy, and she’s definitely on to something. The benefits of having plants in the workplace have been well documented. Not only can they boost your mood and freshen up the atmosphere, but some studies have demonstrated that plants can even boost creativity, reduce stress, and enhance problem-solving skills. How cool is that? So consider adding a small potted plant or two around the office. Succulents and spider plants are super low maintenance, or if you prefer a flowering plant that needs some TLC, orchids are always beautiful. Thank you again for all of your wonderful suggestions. And please keep them coming! How do you promote productivity in the workplace? What strategies do you use to keep your motivation high? Let me know below! I’ve been thinking of adding a new ceiling fan. I clicked on the link you shared for the larger ceiling fans. Those are cool. Never knew they existed. That said, I’ve gotta go wash my hands now. Never knew my keyboard could have more bacteria than a toilet. Coming back with some alcohol for it… LOL. Ha! Your comment literally made me laugh out loud 🙂 Thanks! I love all of these tips. I had no idea about the white noise thing. So good to know! Yes! The white noise machine is a game changer for me. I absolutely LOVE it. Love these! I’m always much more productive when I have music playing in the background – I don’t know why, but it helps and keeps me in a good mood! It’s amazing how powerful music is, isn’t it? It’s not just helpful for productivity, but it boosts our mood, too. It’s a win win! This is so true! I never really thought of that but it IS true – temperature has always been a huge distraction to me. I just hate feeling cold… I also agree with the mess-distraction and love the touch of green. Now being aware of those things I’ll make sure I prepare my workplace better. Thank you. The touch of green is a big one for me! Great tips!! I love it, too 🙂 Thanks! These are great tips! I especially like the beat the clutter section, when there is less clutter it’s so much easier to concentrate!